Lost and found Cats...this one is waiting to be found. Lost and found cats happen. 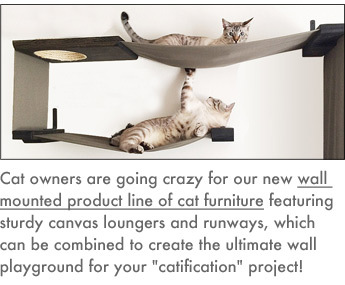 Whether your cat is a homebody or a street-savvy "sophisticat," there's always a possibility it will get lost. All it takes is a door left open accidentally and your curious critter ventures a few steps outside only to be chased by a dog...it may never find its way home because the outside turf is unfamiliar. But you can increase the chances of getting your cat back by equipping your cat with ID to help your lost and found cat enjoy the "found" part. A lost and found cat without identification faces terrible odds. Shelters report that a very small percentage (2-4%) of the lost and found cats that come through their doors are reunited with owners...and lack of identification is to blame. 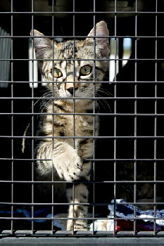 In 2008, just in the Sacramento SPCA unit, 2,604 cats were taken in and only 44 were reunited with their owners. Another recent study states that only 14% of the lost and found cats were wearing I.D. compared to 43% for dogs. This is being improved dramatically because of the use of microchips in recent years. Without I.D. 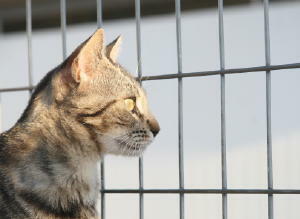 this leaves the shelter the task of keeping a description of the animal on file and hoping that the owner calls. This method has a downside...shelter workers may not describe the color and breed of a cat in the same ways as the owner, so the owner will have to visit multiple shelters and check every cat just to be sure. This takes time. When an owner doesn't show up to claim a lost cat, the shelter often has no choice but to find a new home for the animal...if possible. Tragically, many shelters are so overcrowded they euthanize animals that aren't adopted within a certain time frame. A simple and inexpensive form of ID is a collar and a "dog tag". 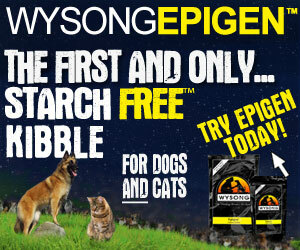 Anyone who finds your pet will have a phone number to call and let you know where your cat is. Just remember to update the tag if you relocate. Feline ID tags are easy to find at most pet stores such as PETCO.com and vet offices have forms for mail-order pet tags inscribed with your name and address. A lot of cats hate the jingly noise of metal tags so you may opt to get plastic ones. The biggest disadvantage of a collar and tag is that feline "Houdini"s can escape from them. This is hard to change because cat collars should be removable to guard against accidental strangulation. The safest collar seems to be the type that closes with a breakaway catch. To be both safe and effective, a collar must fit well. You should be able to slide one or two fingers...no more...between your cat's neck and the collar. A too loose collar could come off or pose a choking hazard, whereas a too-tight collar could irritate the skin of your cat's neck and interfere with its breathing and eating. Check the collar frequently to make sure it still fits well. Flexible elastic collars may also help prevent strangulation, but a cat could get its paw caught while scratching at the collar to remove it. Remember that most of us don't like scratchy sweaters and the same is true with a cat's collar. Be sure you run your finger along the inside before you buy it to make sure there are no rough spots like sharp edges or rough seams. Your cat doesn't like collars that rub the wrong way and irritate them. If you think it's too rough to wear around your neck then the same is probably true for your cat. There are ways to discourage your cat from giving its collar the slip. 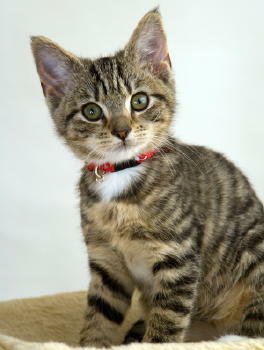 Start by collaring your cat at an early age and keeping the collar on at all times even if your cat stays indoors. It will get used to the feel of it. I take Max's collar off and brush his fur around his neck so it doesn't get matted about once a week, then put it back on. I like him to have it on as another level of protection if he gets into trouble and an unwelcome animal goes for his jugular vein. I don't want him to be a lost and found cat....or worse...a dead one. Tattooing is a relatively painless procedure in which a vet or trained technician injects a number in indelible ink just under the cat's skin...usually on the inner thigh. The owner must sign up with a registry that maintains a database of pet tattoo numbers linked to owner names and addresses. While tattooing offers permanent identification it has some drawbacks. A cat's furry skin can make a tattoo hard to read and a person finding a lost and found cat may not look for a tattoo or know how to reach the appropriate tattoo registry. Even shelter workers may overlook a tattoo...particularly on a cat that doesn't like to be handled. Lost and found cat departments are busy and missing it would be easy. Microchips are another form of permanent ID. The microchip is a tiny glass bead about the size of a grain of rice containing a transponder coded with a unique number. The microchip is simply a computer chip and antenna encased in a tube of non-allergenic soda-lime glass. Vets and shelter workers can read the microchip with a compatible microchip scanner and then access the owner's phone number from a national database. Even though cats with microchips have sometimes been found, they are not connected with their owners because the owners have not updated information in the registry when they have moved. So, you must put that registry contact number some place safe or in your address book so that you update it when needed. Ensure that your lost and found cat is the "found" part. To implant a microchip, a veterinarian or trained technician inserts a needle containing the chip under the cat's skin between the shoulder blades. The needle required for the injection is a little larger than a normal vaccination needle, but most cats don't seem to mind. If you have your cat micro-chipped at the same time you have it spayed or neutered, it will be under anesthesia and won't feel a thing. Most microchips have a cap or coating that encourages the growth of fibrin, a fibrous protein that anchors the chip in place within 2-3 days. Very few chips migrate, but if they do, a scanner can still read them in their new location. So far, there have been few reports of health problems associated with microchips. However, they do have one drawback..they're not created equal. Different companies make different chips and each required a different scanner to read the chips so finally a universal scanner was developed so this is not a major drawback now. Also, the different registries didn't share databases but this has improved tremendously and it has cut down on the lost and found cats. All six of my cats are micro-chipped. Max & Giorgio wear a collar as well as has their microchips, since they are the only ones allowed outside a couple of times a day. Having a backup ID for them is expedient. Since the others have a cat door to a large terrace where they can enjoy the fresh air, they don't have collars and rarely express any interest in the outside with the exception of their terrace. I know I should put collars on all of them just to be safe and I have bought the collars...but they currently sit in a drawer...it is on my "to do list".